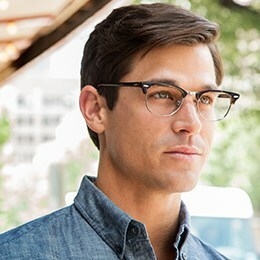 At FramesDirect.com, one of our most enduringly popular brands (for eyeglasses AND sunglasses) is the Italian luxury stalwart, Prada. Prada launched their eyewear line in 2000, which is relatively recent considering the storied history of the brand. Well-loved because it manages to be both sophisticated and fun, Prada glasses are known for artful elegance and inventive flair. From over sized glamorous sunglasses in the retro vein to bookish looks for the chic intellectual, Prada eyewear is made for a wide range of tastes but never boring. Prada was founded over a hundred years ago by a pair of Italian brothers in Milan - Mario and Martino Prada. In 1913, their leather goods outfit was known as Fratelli Prada, but the Prada we know today was born in the late 70's when Mario's granddaughter, Miuccia Prada, inherited the company from her mother, Luisa. Miuccia Prada is the visionary behind the modern incarnation of Prada, and it is the collaboration between Miuccia and business partner Patrizio Bertelli which is the backbone of the current brand. The move away from exclusively selling leather goods and luggage was inspired by Miuccia's design for a waterproof backpack. Prada invented a fine quality nylon, called Pocone, which her grandfather had used as a covering for steamer trunks. This tough yet luxurious material became a building block of the elegant and utilitarian new direction that Prada's designs would take. In contrast with the decadence of other luxury fashion houses in the 1980's, Prada's clean lines and simple details took the world fashion by storm. By the mid-80's Prada was showing women's collections on Paris runways and opening stores in New York, London, Paris, and Tokyo. Simple sophistication with a self-aware, artistic flair became Prada's calling card as their popularity swelled in 1990's. The success led to expansion, launching sister brand Miu Miu in 1992. 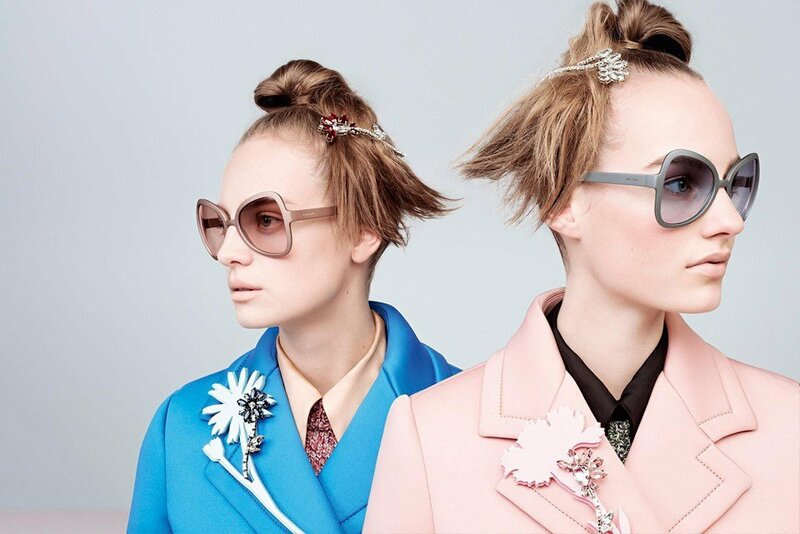 Miu Miu caters to a younger set of customers, and drew another generation of fans into the fold. Around the same time, Prada also introduced a men's ready-to-wear collection. Adored by both consumers and the fashion establishment, Prada was awarded honors from the CFDA (Council of Fashion Designers of America) in 1993 and again in 1995. As the 90's drew to a close, spurred on by their accomplishments, Prada sought to gain a larger financial foothold in the luxury market. 1999 was a big year as Prada made moves to acquire control of Helmut Lang and Jil Sander. Prada also joined forced with Louis Vuitton at this time to take a 51% stake in Fendi. These acquisitions made it clear that Prada was one of the top dogs European luxury goods, but due to existing financial problems at Fendi, their position was untenable. As the millennium approached, Prada was forced to scale back, selling their portion of Fendi back to LVMH (Mot Hennessy Louis Vuitton) and off loading both Jil Sander and Helmut Lang. However, they saw continued success with sister brand Miu Miu, which joined Paris' Pret-a-Porter runway calendar. 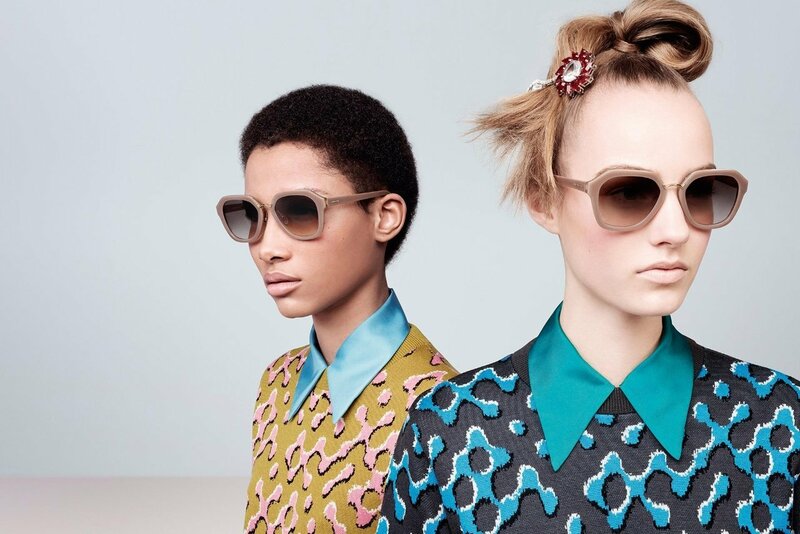 Prada also forged an agreement with Luxottica for their eyewear lines in 2003. 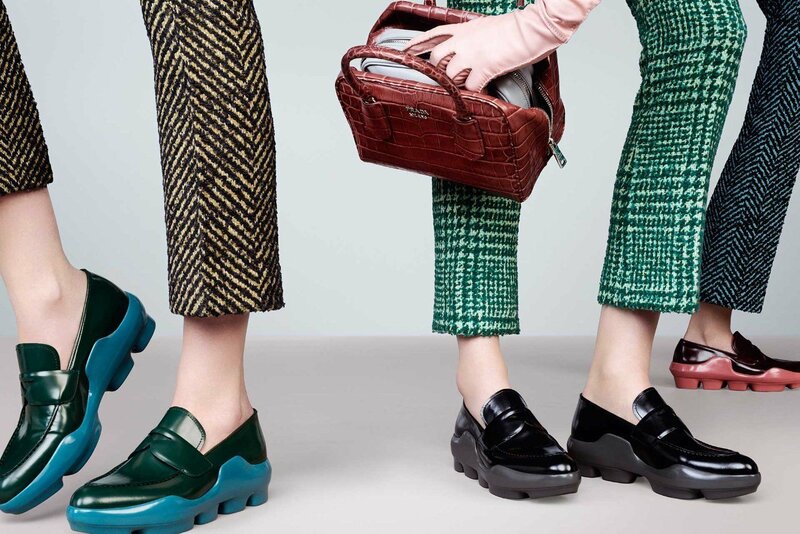 In recent years, Prada has expanded their physical footprint by opening stores in emerging markets like Brazil, Russia, India, China, and South Africa. And although Prada continues to be a leader in eyewear, competition from American, lower-priced brands like Coach and Michael Kors are challenging Prada's leather goods sales. Prada is currently ranked #74 on Forbes most valuable brands list, has over 250 boutiques worldwide, and is valued at more than 15 billion dollars.